Do you avoid certain genres when you are looking for a good read? I do. I am generally a wide, across-all-genre reader and in fact that is one of the things I have loved about being in a book club: reading books I would never consider picking up, and then thoroughly enjoying them. The one that sticks in my mind most is Joan Richmond: The Remarkable, Previously Untold Story from Melbourne to Monte Carlo and Beyond. I had never considered myself as being genre-ist in my reading. But I am (or was and maybe am just a little bit). 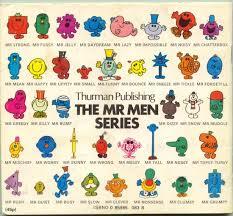 I grew up in a high brow family where The Mr Men series was poo-pooed (which I may well have alluded to previously). 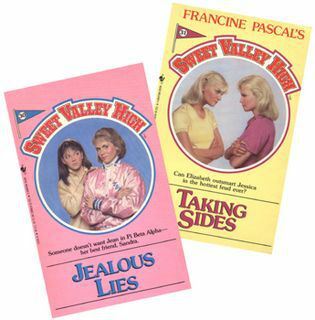 My closest friend in high school had the world’s largest stash of Sweet Valley High books, that I knew my mother would look down her nose at. I had to read one. I smuggled one into our house and, under my doona, I snuck into this forbidden world. Mum was right. It was pulp. It was a fast pulpy read that took me into a world of American high school girls that I couldn’t relate to. And it was all about getting the Mr Gorgeous (read ‘Jock’) to love them (the most clumsy, awkward girl – okay, that bit I could relate to). Don’t get me wrong. I was like any other gawky teenager. I wanted Mr Gorgeous to love me, and poor old Mr Geek, who keep giving me roses for Valentines day, didn’t cut it (I’m still sorry Mr Geek that I couldn’t reciprocate; it would have never worked). The bit I couldn’t get in this book was why the girl couldn’t see that the geeky guy, who had been her best friend forever, liked her. I at least knew that Mr Geek was way too infatuated with me. I just didn’t like him. And my best guy-friend (who actually was a bit geeky too), well, we knew we liked each other – we just didn’t want to do anything about it in case it wrecked it. What enthralled me most about the book was the protagonist. She started each day with looking at her vast wardrobe (who the heck has that as a teen?) and decided what kind of character she was going to be. That seemed like a great idea, until I realised that she was in fact probably suffering from some terrible behaviour disorder and should probably talk to someone about why she wasn’t happy with just being her. And there is my difficulty with this genre. I think too much. So when I found out yesterday that we had to study a genre that we didn’t know particularly well for our Developing a Writing Project class, I chose Romance. I chose Outback Dreams by Rachael Johns for a number of reasons: it’s romance, written by an Australian author and a best seller. 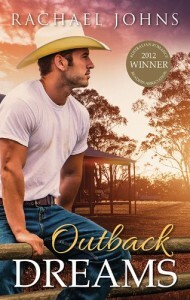 I’m also interested in seeing what this Rural Romance (sub genre) is all about – and I do have a deep love of the outback (that’s the sweetener for me). I’m trying really hard not to go into this with preconceived ideas. So far, it is okay. I’m trying not to think too hard about it, to just enjoy the story for what it is. I don’t think it’ll be a Joan Richmond, but it will introduce me to Rural Romance. Have you read out of your genre-zone? If you did, was your mind changed about it? Is there a genre that you just wouldn’t even look at? Oh my. I think I read every single SVH book that was available at my local library. I didn’t even think they were that good and I don’t really remember the characters except for the twins. Now I’ve brought back the memories you’ll be thinking about them all day!